Corey, Lacey and I sat down to go over an amazing year for 19th Hole Media. And we wanted to share the top 10 things that happened in 19th Hole Media in 2017. Thank you for being a part of it. Here is our top ten from 2017! We made several trips to Palm Springs in 2017, but Zeb got the chance to spend three days in Palm Springs, playing and visiting some great golf courses including Indian Wells Golf Resort, PGA West, Desert Willow Golf Resort, Monterey Country Club, Shadow Mountain Golf Club, Indian Springs Golf Club and several others. It’s never a bad thing to play three rounds of golf in three days in Palm Springs. Two of our clients have some golfers who have been making waves on the PGA tour and beyond. 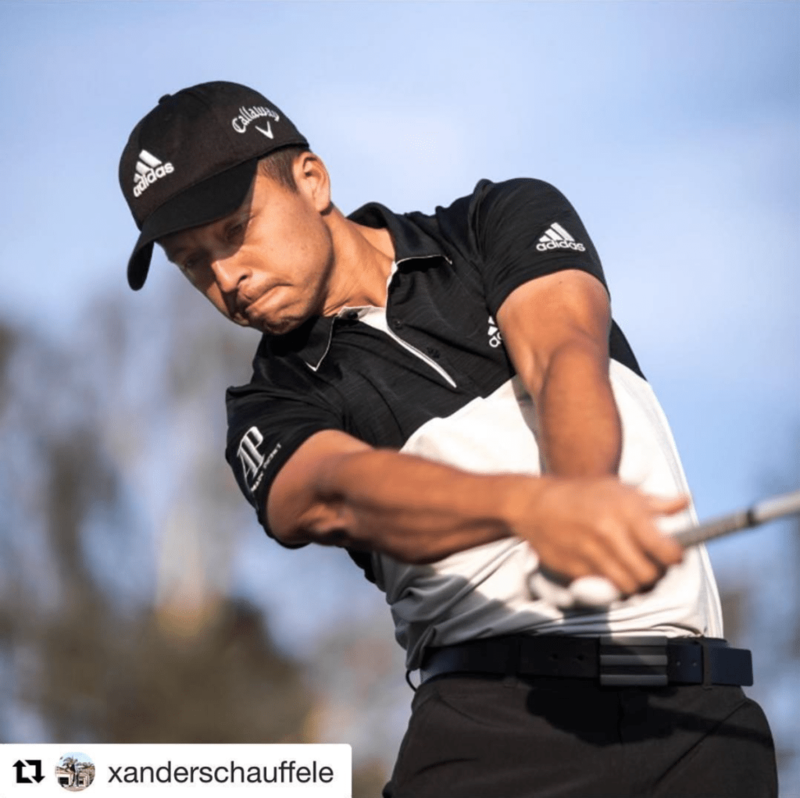 This year we signed on Bernardo Heights Country Club who boasts Xander Schauffele, 2017 PGA Rookie of the Year, and winner of the 2017 PGA Tour Championship. 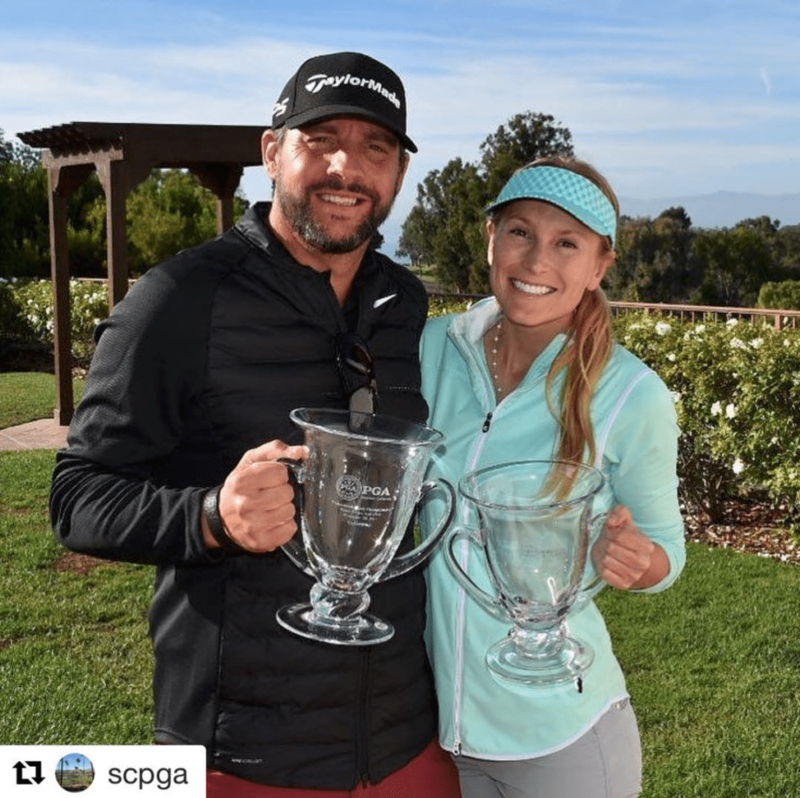 Our longest tenured client, Arroyo Trabuco Golf Club is home to Michael Block who has been winning tournaments left and right getting the opportunity to play in numerous PGA Tour events including the upcoming Farmers Insurance Open at Torrey Pines. 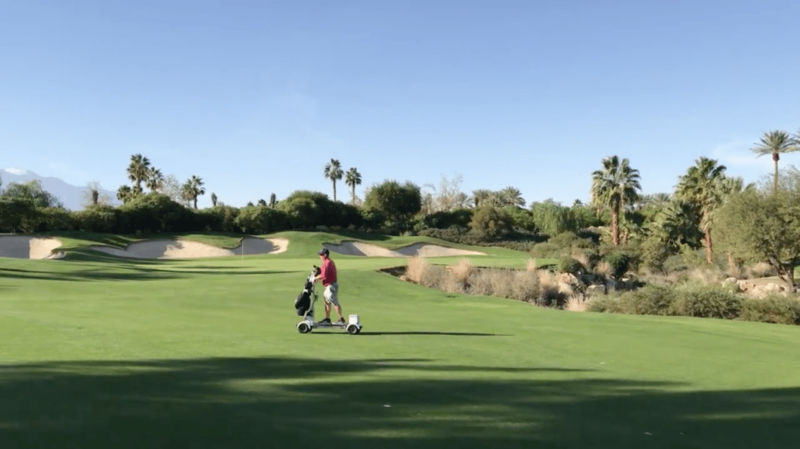 Indian Wells Golf Resort approached us just prior to 2017 to help them market GolfBoard via social media. One of my greatest golfing moments of the year was playing a round with Corey and shooting some GolfBoard videos which got some major traction throughout the year. The golf season for Indian Wells lasts about six months during the winter. 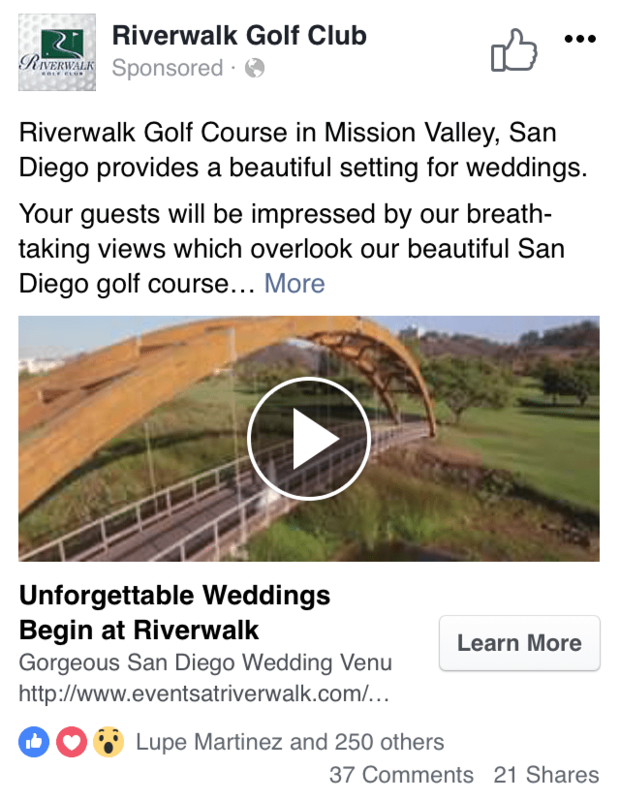 We did so well promoting the GolfBoard they doubled the size of their GolfBoard fleet and brought us on this season to do Facebook posting for their golf course, restaurant and wedding venue. A few years ago Zeb Welborn started #GolfChat, a twitter chat for golf fans and golfers.Who knew it would grow on to become its own wonderful little corner of the internet. 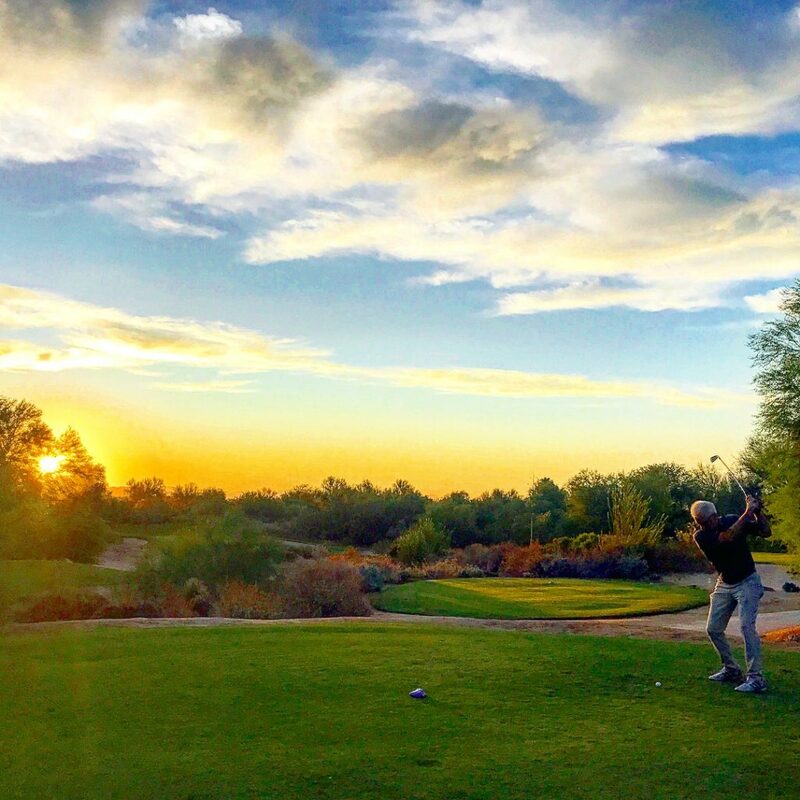 #GolfChat took place every Tuesday on Twitter at 5PM PST with the help of @golfbandwagoner and @ConnectGolf. If you’re invested in golf, you should join us in 2018. The chat has sparked some great conversations and debates prompting the establishment of #GolfChat Authors. #GolfChat Authors have contributed articles on golf to give their thoughts and opinions on ways to improve golf. #GolfChat is the place for knowledgable and thoughtful golf experts to share their insights on the golf industry. Check out GolfChat Authors, Click Here. One of the highlights of the year was having Ron Sirak, award winning golf writer and, Brandel Chamblee, analyst at the Golf Channel, jump into the chat. Looking to make 2018 another great year for #GolfChat. No one has been more supportive of us and this business than our parents. They are the best! 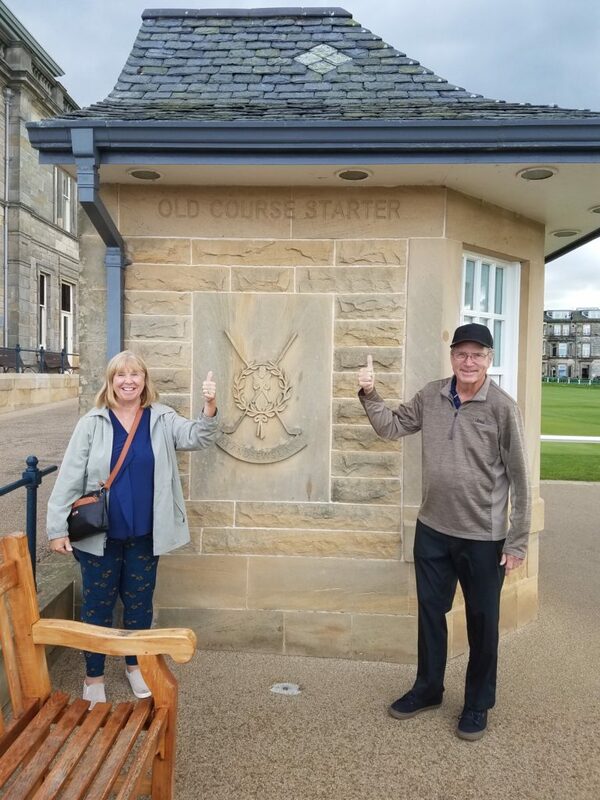 This year they had some wonderful adventures including a trip to the very heart and soul of golf, Scotland. They brought copies of the book The Social Golf Course written by Zeb Welborn and delivered the book to key individuals at St. Andrews, Royal Dornack, Brora and Elie. It’s great to see The Social Golf Course at the Home of Golf. We started working with NextLinks when they first began as REALiTEE Golf in the beginning of 2015. We have been fortunate enough to be involved with a company leading the pack on integrating technology and golf. NextLinks is providing technology solutions for golf courses and venues to help incorporate golf and technology and are doing in a variety of unique ways. 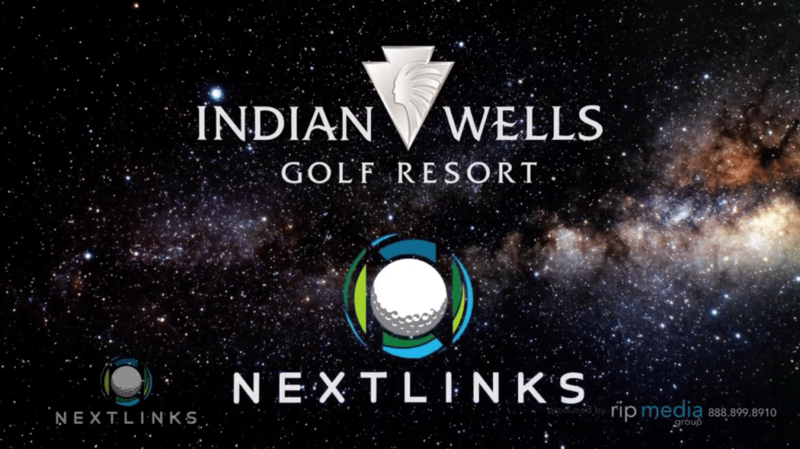 Early in 2018, the Indian Wells City Council approved a plan to have NextLinks design a one-of-a-kind putting experience at Indian Wells Golf Resort. Their plan is to use lasers to create a nighttime experience for golfers and non-golfers in the Indian Wells area. To see their plan watch their video – NextLinks – The Future of Indoor Golf – Goes Outdoors. NextLinks is also working with the Silver Reef Casino in Washington to develop a unique golf experience and with the Seattle Mariners at Safeco Field. It’s going to be a great year for one of our favorite customers. But the best part about the video was the shares and comments. Commenters suggested the wedding venue to friends, expressed their desire to have a wedding there and, probably most importantly, received social proof from commenters who used the venue before and loved it. These comments can then be used to continually market the wedding venue at the golf course. Sometimes businesses think social media is just a marketing tool, but it’s so much more than that. It helps with customer service, customer retention, customer feedback, develops new business opportunities, creates PR opportunities, etc. Several golf videos we created this year went viral. One was a video of Zeb Welborn interviewing John Powell, from Los Serranos Country Club, about his world record-breaking round of golf where he shot 22 strokes under his age. John Powell’s video was picked up by several major golf publishers throughout the country and he got lots more publicity for his remarkable accomplishment. It was great helping get John Powell be recognized, he loved the attention he got from our video. The second viral video was an interview I had with Bruce Loman, one of the first members of the Callaway Golf team. He’s seen Callaway become one of the biggest brands in golf and he shared the story regarding his experience with the company. The interview came about purely by chance as Bruce recognized me coming off the 18th Hole at Strawberry Farms Golf Club. He was open to doing an interview right then and there. 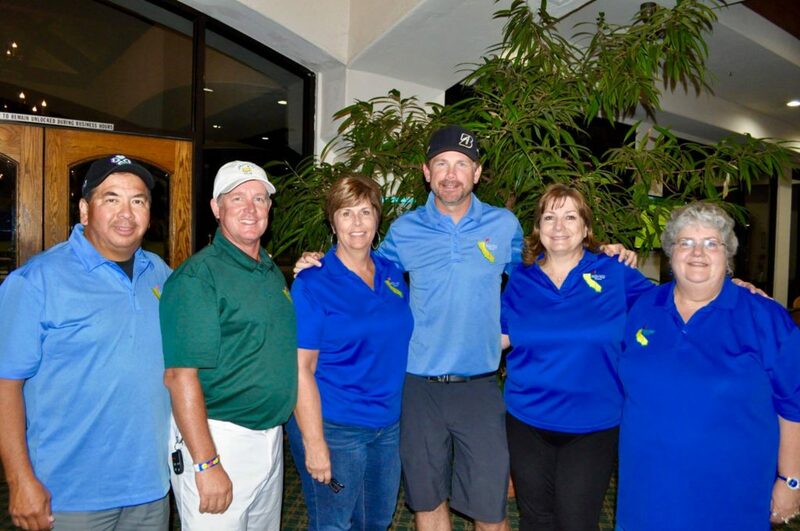 The 3rd Annual Southern California Charity Golf Classic was held at Los Serranos Golf Club on July 29. This year we had 132 golfers play in our golf tournament and raised $14,401.87. Combined, we have raised more than $33,000 in the three years we’ve hosted the Southern California Charity Golf Classic. Thank you to everyone who organized, sponsored, donated and played in the SCCGC! In more exciting news, we wanted to share some new things that happened in our personal lives in 2017 too. Just about a year ago our brother Rocky became a father and we got to meet our niece. She is simply amazing. An animal lover who enjoys food, she is already very good at sharing. We are so excited to see her grow and to be a part of her life! We’re happy to announce that Cindy, Zeb’s wife, is pregnant with their second child – a girl. 2018 is going to be another great year full of joy, laughter and excitement. 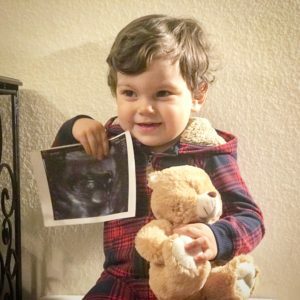 Sebastian is super excited to become a big brother. It is not lost on us how fortunate we are to be able to do the work we do with people who never fail to be interesting and passionate. So many people have helped us get to where we are. We have a lot of plans for 2018 and are looking forward to another memorable year. We hope you all have an absolutely amazing 2018! Posted in 19th Hole Media, 19th Hole Stories, Marketing for Golf Courses, ROI of Social Media for Golf Courses, Southern California Charity Golf Classic and tagged Golf, Golf Course Marketing, Golf Marketing, Social Marketing for Golf, Social Media for Golf.